The coating has always been a challenge for the numerical engineering because of the very small scales typical of the process: generally, in fact, the thickness of the coating is on the order of microns. FLOW-3D is a very useful tool for this type of application because of its unique ability in tracking the surface of the fluid in a 3D environment. 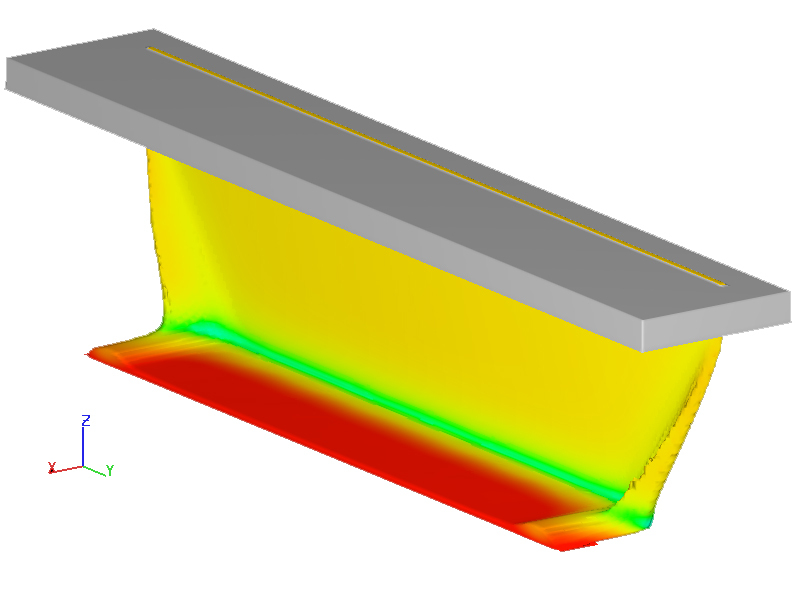 The user can add to the simulation of the coating a very rich multi-physics, which includes moving objects, deformable components, evaporation and condensation phenomena, electrically charged particles, surface tension and capillary effects. XC Engineering is the official dealer of the software and a direct user, providing to the interested customers high level consulting services. It is possible to simulate the most different techniques of coating: curtain coating, dip coating, gravure printing, roll coating, slide coating and slot coating are just a few examples, considering the absorption and evaporation of the liquid and many other physical phenomena. Using the most advanced numerical simulation software, the user is able to investigate thoroughly the applications that, because of their small scales, are hardly studied using traditional experimental methods, providing the same reliability and accuracy.